Possibilities are immense with HTML5. 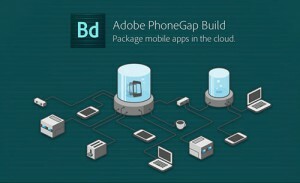 Well, lazy developers might deny this truth but technology behemoth like Adobe has already realized it the hard way and probably for that reasons, it has now gone extra mile by launching some of the powerful and sophisticated set of tools that will let you develop applications powered by HTML5. Adobe is certainly leaving no stone unturned to make the most of this new and revolutionary language by launching a series of cool tools that are set to redefine the very concept of web design & development. Have a look. 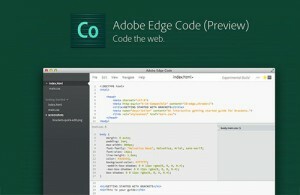 Edge Code without a shred of doubt is a new generation code editor. It lets developers work simultaneously on multiple documents, editing multiple files and you can check the impacts of small changes real time as it offers live development. One of the unique things about Edge Code is that it is expandable. It is powered by hundreds of community built extensions and thanks to the painstaking efforts of some dedicated developers, Edge Code is becoming more effective and powerful. Are you getting confused while choosing the right font for your website or you are feeling helpless as you are unable find proper fonts to deck your website? If yes, TypeKit is the perfect tool that you need to put your trust on. This tool compiles a list of commercial fonts sorted by recommendations and classifications. By using CSS, you will be able to add these fonts on your website without facing much hassle. TypeKit is an easy to use tool that lets you choose and use fonts on the website. You can choose different fonts for Paragraphs, headings and more. Cross browser testing is certainly a tough task for every designer out there. Edge inspect allows you check whether the website is rendering precisely in all the devices or not. Moreover, this tool lets you connect multiple devices with your computer and that means, you can check compatibility of the website in multiple devices in real time without even making the website live. Since all the connected devices use the same URL, it eliminates the needs to manually browse and change URLs in different devices. Make changes in the desktop and it will get reflected in all the devices. 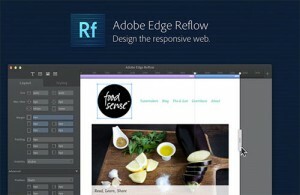 This tool is exclusively available for Adobe Creative Cloud member and most designers agree that Edge Reflow is the most prolific and powerful responsive web design tool ever launched by Adobe. With this tool, you will be able to create visual designs and layouts with CSS. 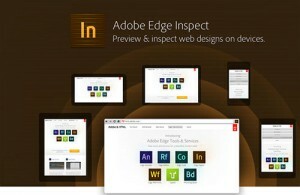 Its interface is sharp and highly intuitive and unlike other Adobe Platform, this is lightweight. 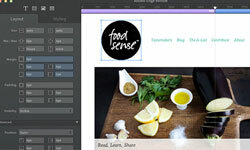 If you wish, you can import the design CSS in Dreamweaver or any other Code editors for further modifications. The purpose behind developing this tool is to simplify the process of design for responsive layouts. This tool is predominately used for visual designs, UX prototyping and designing for multi-screen devices. The roundup of HTML5 web development tools will remain incomplete if we do not include this tool. 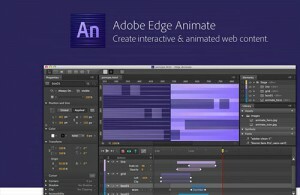 Creation of animated web content is fairly easy with Edge Animate. This tool has recently gone a massive transformation and the following two features have been incorporated – support for CSS filters and gradients. Integration with other tools is also allowed. For say, if you wish you can create an HTML5 element in Edge Animate and integrate that thing with tools to create something awesome. Samme Dsouza is a blogger and social media addict. He is currently promoting MotoCMS HTML templates section that helps people build interactive website.